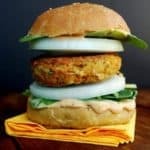 If the holidays have left you feeling like you’re carrying a tofurkey to full term, here are 15 vegan detox recipes that will make you glow from the inside out. And you can chow down on them without any guilt — even eat for two — because all of these are really, really good for you. 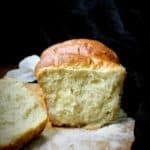 I’ve tried to include recipes here that are mostly free of any added oils or use very little. 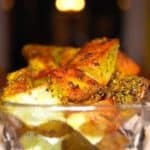 Almost all the recipes are also gluten-free, and there are choices here for breakfast, soups, appetizers, and main courses. 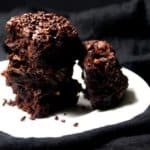 A lot of the recipes I share here on Holy Cow! 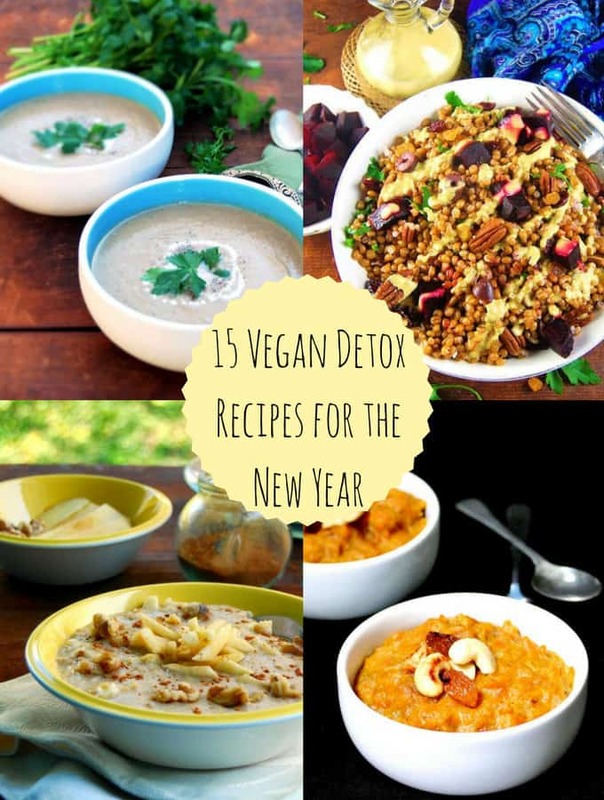 are healthy, and it’d be safe to say most would work for a detox diet, but these are some of my favorites that I turn to again and again. I hope you will love them as much as I do. 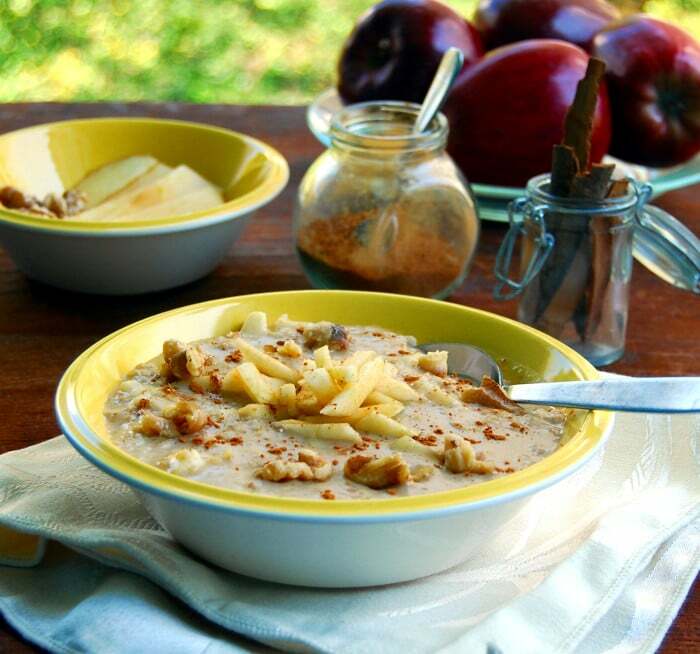 The perfect start to the day, this traditional yet timeless Apple Cinnamon Oatmeal is crunchy with delicious, heart-healthy walnuts and sweetened with a smidgen of maple syrup. The cinnamon adds sass and spice. This is the food we usually start the school day and work day around here, and it keeps us powered through the morning. It’s Jay’s favorite weekday breakfast, so it’s kid-friendly too. To add variety, and depending on what you have around, you can try using another fruit here, like blueberries or strawberries, and almonds or pecans instead of walnuts. This is a true power breakfast that’s perfect to charge you up for the weekend. 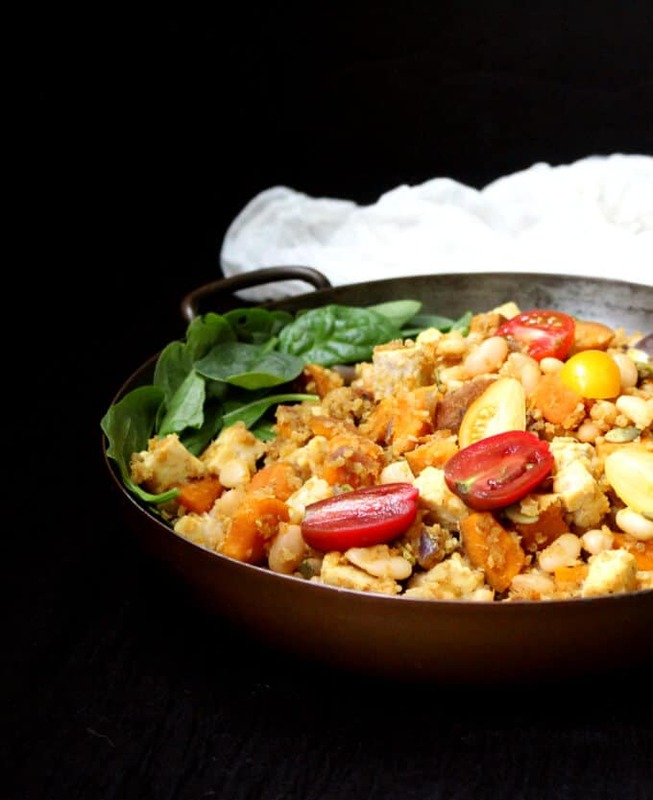 There are beans, tempeh and quinoa, all healthy protein and fiber superstars, in this recipe. The probiotics in tempeh and the healthy vitamins in sweet potatoes further make this dish a nutrition star. I use a dressing of curry, garlic, and basil to liven up the flavors in this recipe. Serve this healthy hash with a fresh green like spinach, arugula or watercress, and toss in some cherry tomatoes for an even greater health punch. 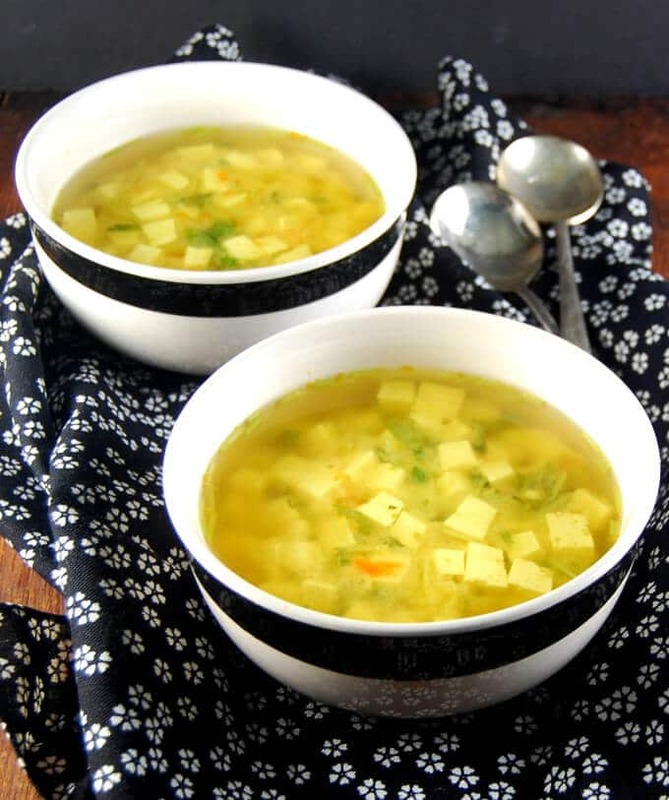 This soup is the quickest way to feel like yourself again, after some over-indulgence. My favorite thing about this soup is just all of these delicious, clean flavors that come together beautifully. Spiced with cleansing ginger and turmeric, and sprinkled with the magic of miso, this soup is a meal by itself with chunks of tofu, carrots and spring onions. But you can gorge on it without feeling the slightest guilt. 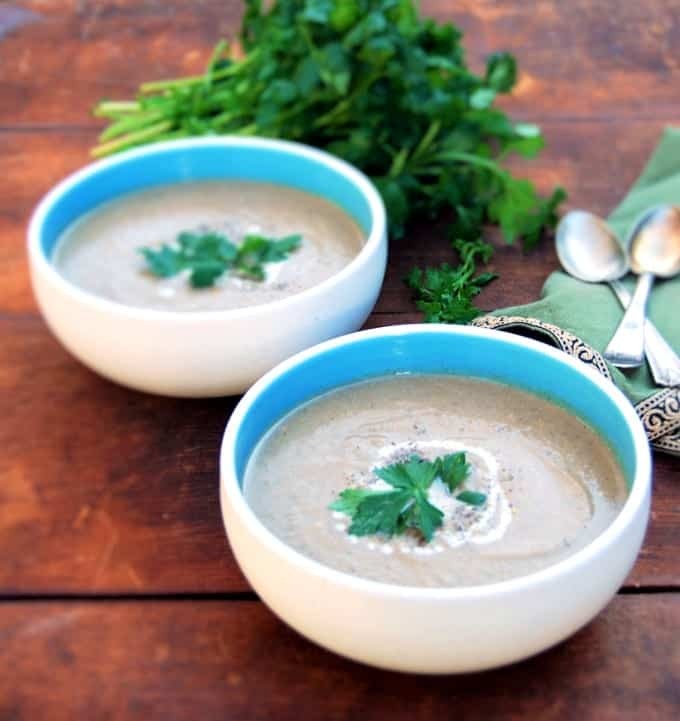 If you’re looking for decadence on your detox plan, this Smoky Roasted Eggplant Soup with Za’atar, and with no added oil, is the way to go. Cumin adds rich flavor and smokiness to the deliciousness of the roasted eggplant. The soup is lightly spiced with the middle eastern spice za’atar, and for a final flourish you can stir in a smidge of cashew cream. It’s perfection in a bowl, whether you’re detoxing or not. If you don’t eat wheat berries as often as you should, for whatever reason, here’s a great reason why you should. 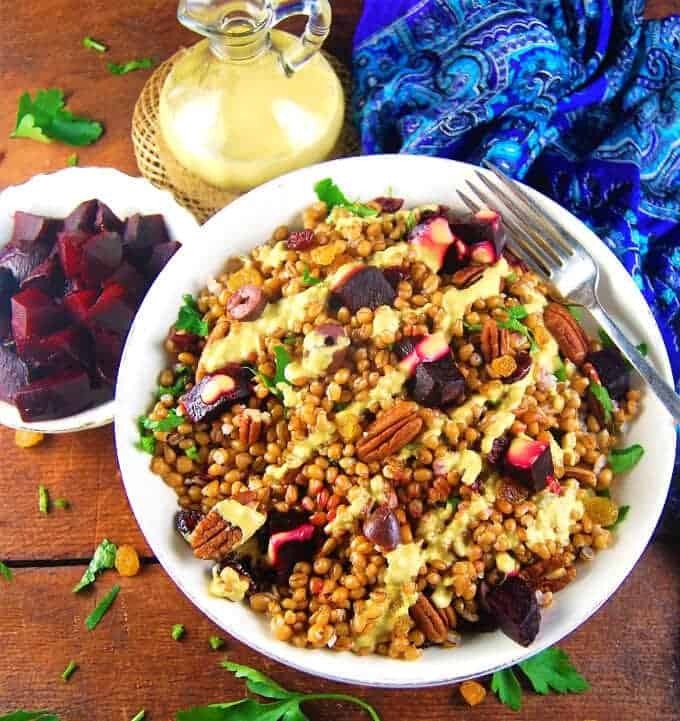 This wheat berry salad has ruby-red cranberries, golden raisins, salty olives and smoky, delicious beets. All of these flavors are tied together with a creamy curry dressing with sriracha. Who says eating healthy is boring? Puy lentils make a happy marriage with sweet potatoes and quinoa and a ton of healthful veggies in this delicious salad. There are carrots, onions, green peppers and celery in this salad, making it a complete meal in a bowl. And the dressing of basil, garlic and red pepper is to die for. Or live for. 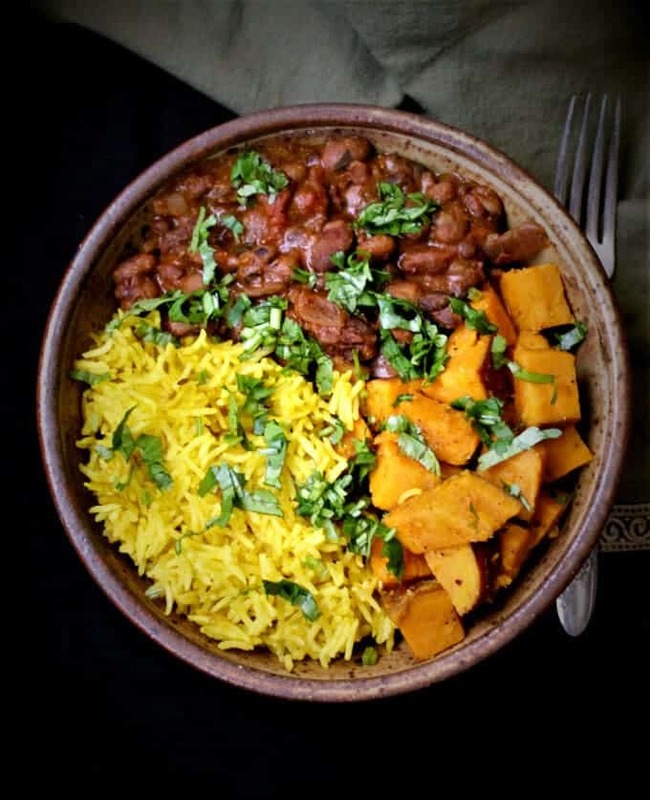 There are three discrete elements in this bowl: the mixed beans spiced with garam masala that are out of this world and worth eating every single day of your life. The sweet potatoes, made even more delicious with orange juice. And the wonderful turmeric rice, spiced with cardamom and cloves. This is the kind of food that makes you want to detox forever. Not that there’s anything wrong with that. 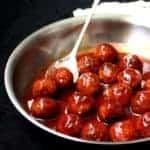 I know, pakoras on a detox diet might seem really, really odd, but consider this: these pakoras don’t have a drop of oil in them. No siree bob. 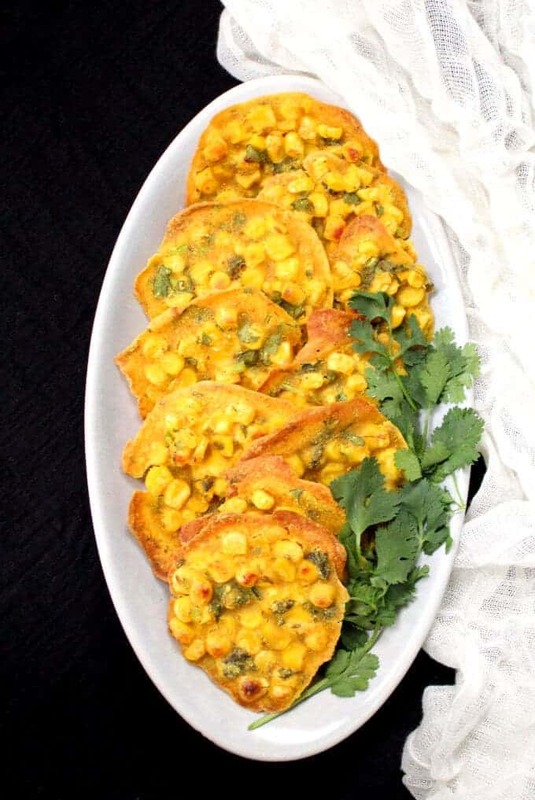 But what they do have is sweet, healthy corn and a spiced chickpea batter that make them absolutely, wonderfully healthy for you. 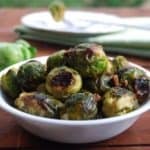 You can eat these as a snack or serve them as a side with a main meal. 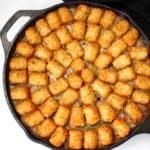 You can also try this technique with veggies that don’t let out a lot of water while baking, like potatoes or peppers. How about a detox recipe that is as easy and clean to make as it is to eat and digest? This slow cooker Butternut Squash Dal checks all of those boxes. Butternut squash is packed with healthy vitamins and fiber, and paired with peppery French lentils or brown lentils, it makes for a delicious and delightful treat. Best of all you can throw all of the ingredients into your slow cooker or Instant Pot and let it do the heavy lifting while you veg out on the couch. With so much healthfulness on your dinner plate, you can afford it. 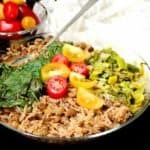 Everyone’s favorite Indian restaurant recipe gets a healthy makeover in this slow cooker version. 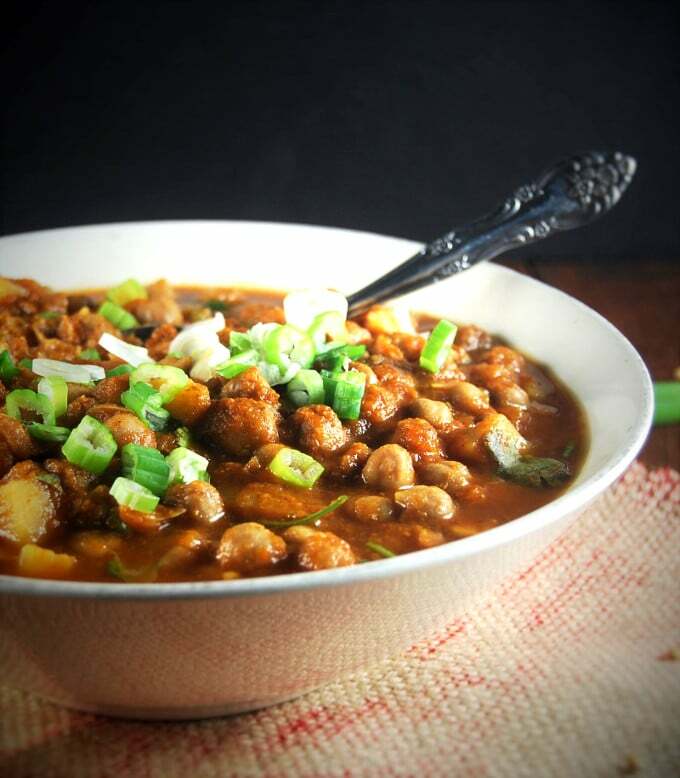 Chana masala is made with chickpeas or garbanzo beans in a spicy tomato-onion sauce, and when all of these flavors cook slowly together in the crockpot, they create a healthy meal you will want to make again or again, detox or not. Chana Masala is best served with an Indian flatbread like roti or naan, or with white rice, but try it drizzled over brown rice or quinoa for your detox — both favorite ways to eat chana masala in our home. 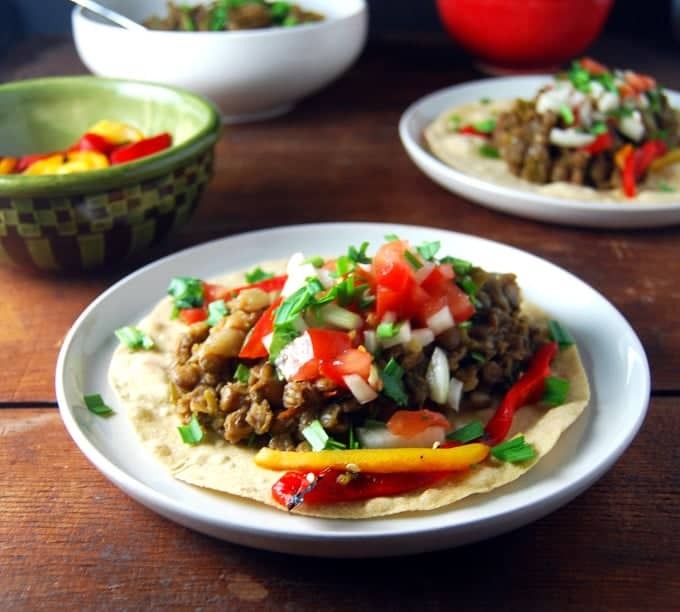 Make these tacos gluten-free by using corn tortillas instead of wheat. The lentil stuffing is absolutely out of this world, and needs no oil. Top off with some colorful, fresh tomato salsa and with avocados, if you wish. 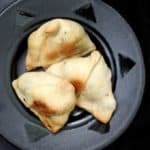 This is one of my favorite recipes ever on this blog, and that’s saying something considering I’ve been blogging recipes for 10 years now. 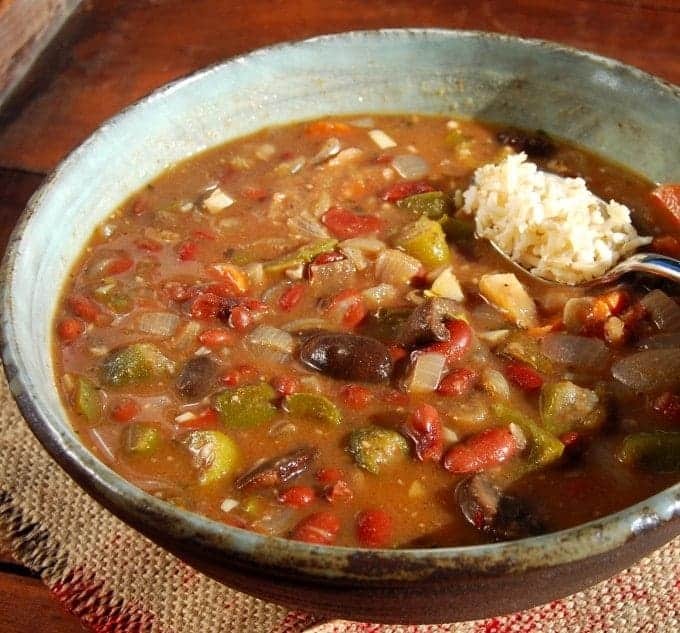 This gluten-free gumbo is also oil-free but it is so tasty that you will be wanting to detox on this forever. 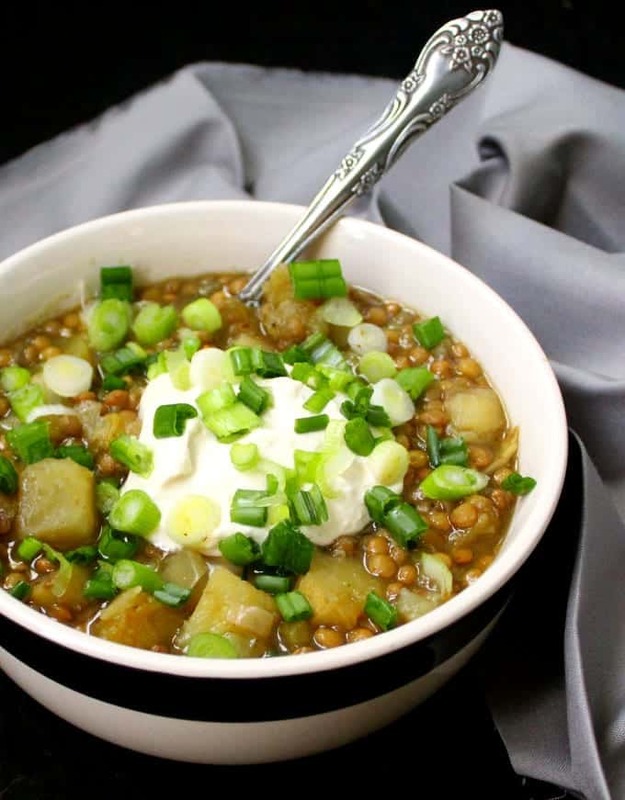 There are traditional ingredients like okra and onions in this recipe, and there are also healthful beans, mushrooms, carrots, and bell peppers. 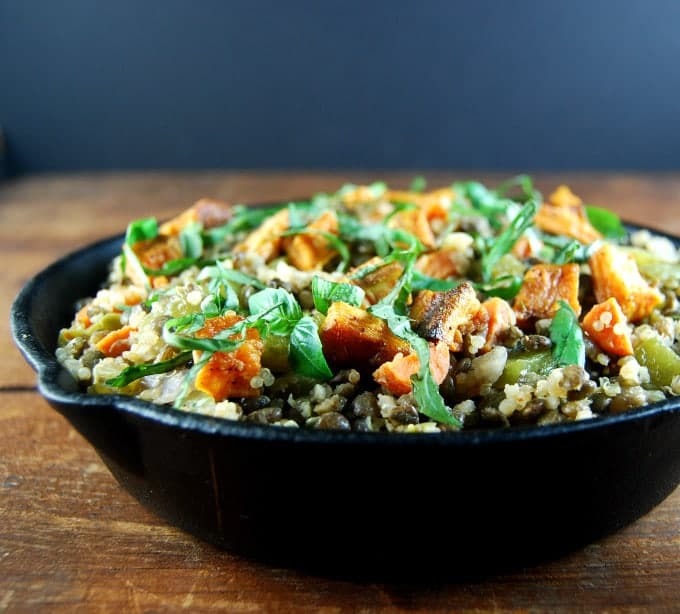 Serve on a bed of brown rice or quinoa for a nutritious meal that’ll make you glow inside out. 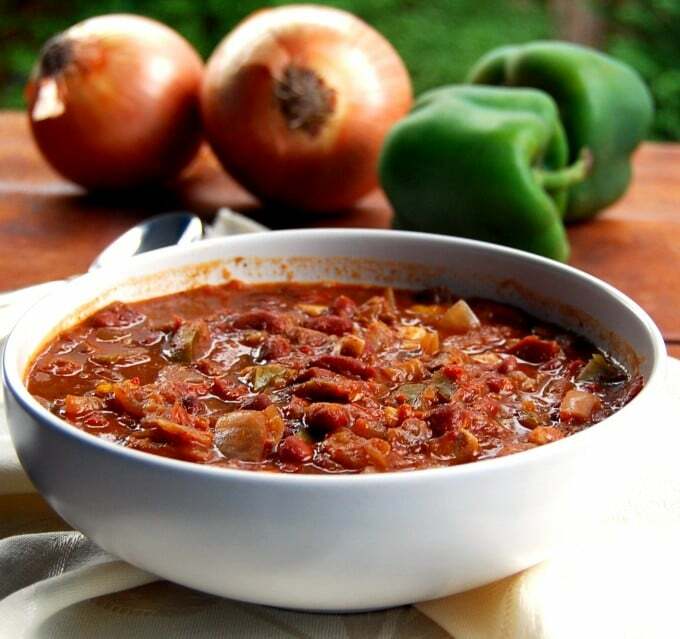 This is a truly delicious chili recipe from the Eat to Live cookbook by Dr. Joel Fuhrman, and one of my favorite detox recipes. It takes barely minutes to throw the ingredients together in the crockpot, and the aroma of this stew cooking is, in a single word, amazing. There are a ton of beans here and fresh veggies, from carrots to bell peppers to mushrooms and zucchini, and corn, among others. 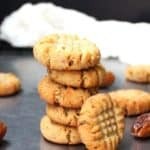 Detoxing doesn’t have to be without a reward for your sweet tooth, and there’s no better way to reward yourself for sticking with your resolve than biting into this vegan almond flour shortbread cookie. This gluten-free cookie has just 65 calories and it literally takes five minutes to mix up in your food processor. 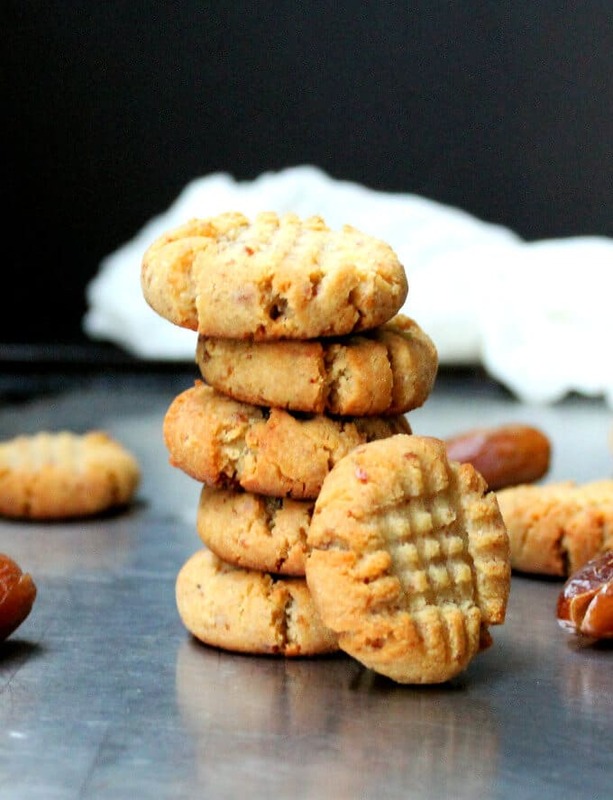 Even better, it’s naturally sweetened with dates. Baking takes 13 more minutes, and then you are ready to dig in. For a cookie free of added oil, try my Chocolate Coconut Bars, also vegan and gluten-free. 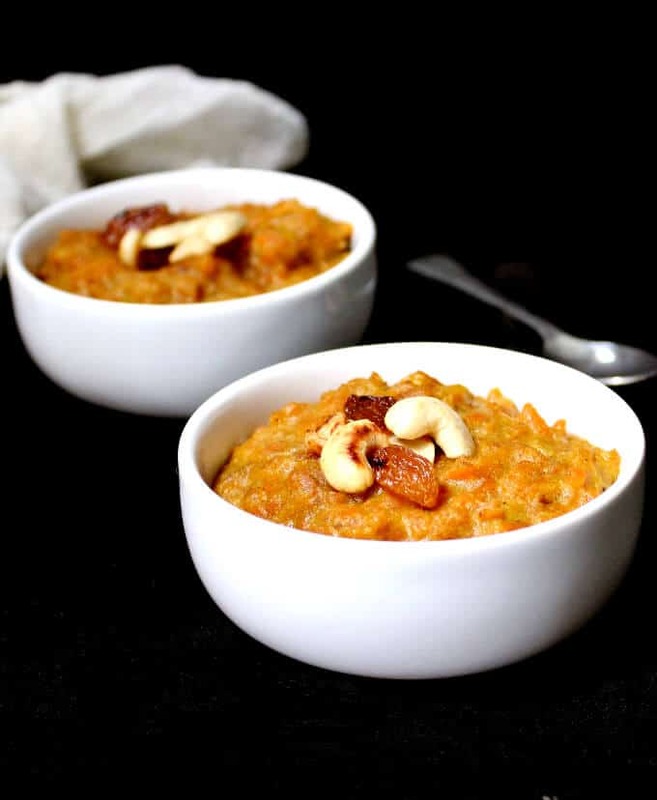 My vegan carrot almond pudding is also naturally sweetened with dates and makes the perfect dessert. Cardamom and vanilla add an incredible amount of deliciousness to the sweet carrots. Almond flour adds more nutty deliciousness and creaminess to an already addictive dessert.